Every Fortnite Clay Pigeon is just asking for trouble at the moment. If they’re stupid enough to fly in between us and our target in a tense battle royale standoff, they’re just asking to be shot with our brand new compact SMG, if you ask us. 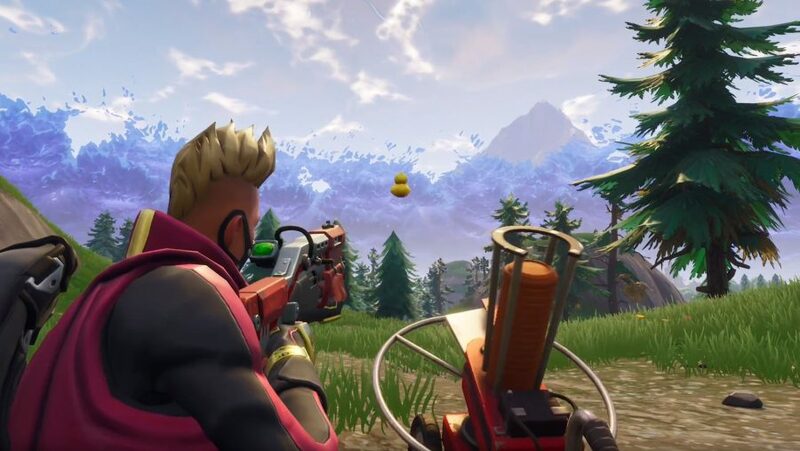 You may well have seen a few Fortnite Clay Pigeon shooters dotted across the map and there’s a reason for that: you need to shoot a clay pigeon in different locations as part of this week’s set of challenges. If you want the five battle stars to help you progress through the tiers to attain some lovely new loot, those Fortnite Clay Pigeons need taking down. As part of the Fortnite season 5 week 3 challenges, you need to track down the Flush Factory treasure map and use a launchpad, for instance. Also, don’t forget about the bonus Fortnite birthday challenges that went live this week until August 7, including dancing in front of Fortnite Birthday Cakes. 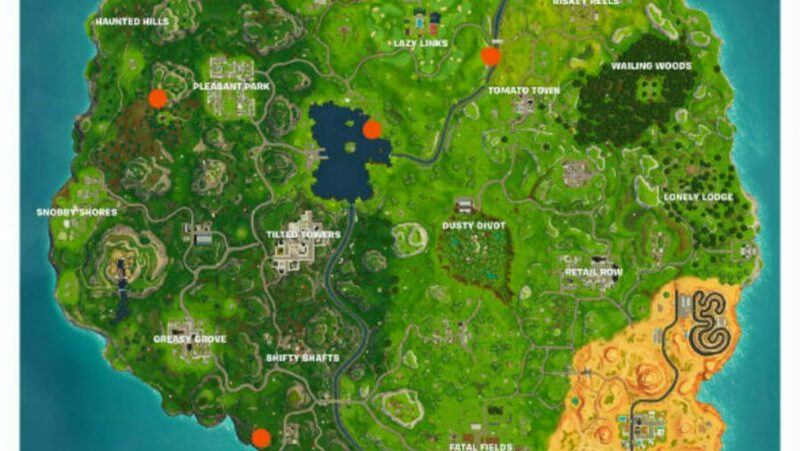 But we’re here to tell you where to get shooting, so here are all Fortnite Clay Pigeon locations. 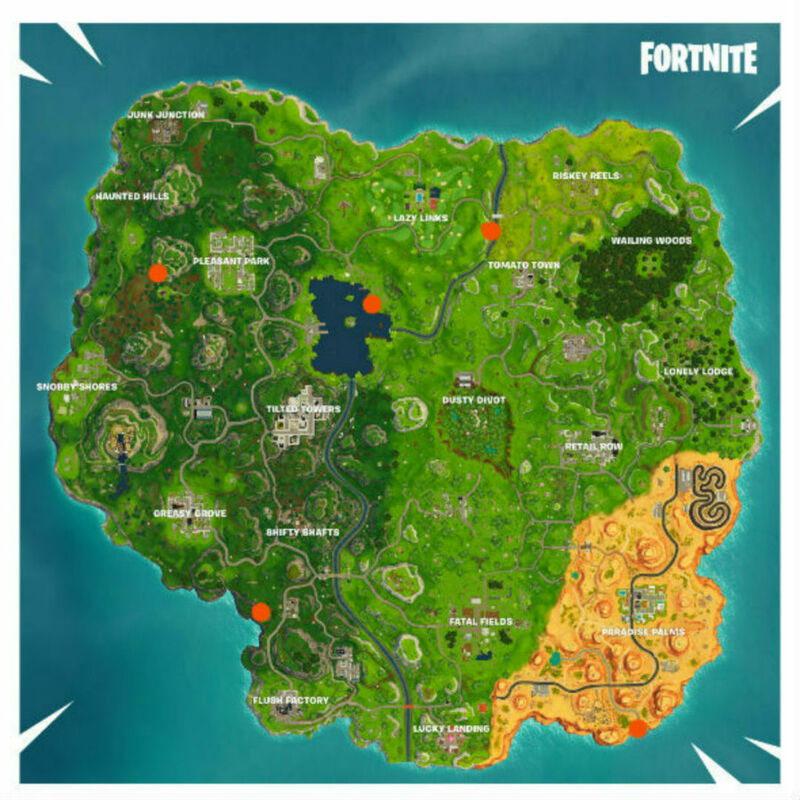 We have marked all Fortnite Clay Pigeon locations on the map above. All you need to do is sidle up to one of the clay pigeons, interact with it, then shoot whatever is spat out. Of the four you need, we know about five so far. Once we find more we’ll add to this guide to make it even easier for you to complete this challenge. Loot Lake – by the willow tree to the north east. Shifty Shafts – west of the large wooden chair, near the red umbrella. Tomato Town – northern bridge between this area, Lazy Links, and Risky Reels, by the blue car on the east side. Paradise Palms – directly south, close to the end of the stream. Pleasant Park – west, past the large hillside and near a green umbrella.